Noni has been around the Pacific for thousands of years, it has been used in numerous ways throughout the various Pacific Island communities. None more so than for strength and healing. Nowadays more people are realizing the benefits of natural medicines, compared to manufactured pharmaceuticals. See for yourself how a regular noni in-take can benefit your lifestyle. There are many different brands of noni juice on the market today With the increasing demand for noni juice as an effective nutritional supplement, and the ever growing health food industry; it has enticed many companies into manufacturing noni juice. Though Royal Noni Fiji never brings the effort of others down, we encourage the consumer to research a product before making a decision. There has never been any evidence to prove that noni from one island is better than another, except by the conditions under which the plant was cultivated and the fruit was processed. Royal Noni Fiji is proudly the first company in Fiji to process fruit from their own farm. 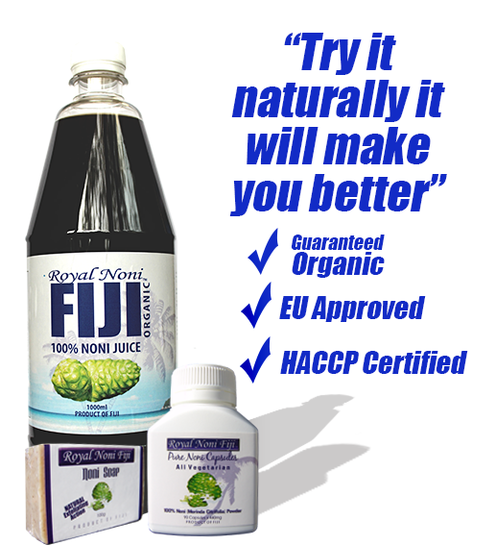 Over the past 6 years Royal Noni Fiji has developed a time-tried method of processing our fruit into one of the most premium quality noni juice available. There are a number of different types of noni products on the market and it is hard to decide which brand has a more effective product. In my opinion would be "the product with the highest concentration of traditionally processed (not from concentrate) Noni Juice". Consumers must remember that when they are buying noni juice they are seeking the nutritional value of the traditional plant of the south pacific and naturally should be processed in the traditional way, and retailed in it's most purest form. Firstly the origin of the noni is important, was it from a controlled area. It is quite often that a harvest may come from a completely different area than originally stated and the processor knows no different. or maturing of the noni fruit. There are many examples of the above situation, and i will go more into detail later on in the year. The traditional method basically involves the same care and dedication used in the process of making a fine wine. If you rush one step of the process you ruin the entire batch. 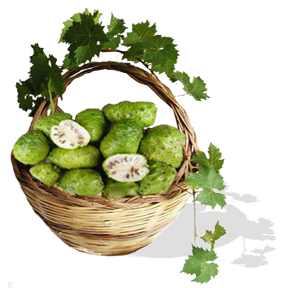 Though on the other hand if the noni fruit is processed correctly there is on hand and extremely safe and effective natural health supplement.